Houston Rockets star James Harden became the first NBA player to score 30 or more points against all 29 opponents in a single season. Harden posted 31 points, 10 assists and eight rebounds in the Rockets' 121-105 win over the Atlanta Hawks on Tuesday. The reigning MVP's performance saw him make more NBA history as the Rockets extended their winning streak to three games. 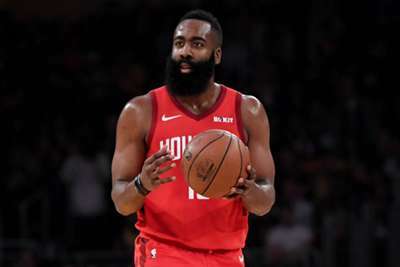 Harden is having a historic season – averaging 35.8 points, 7.7 assists and 6.4 rebounds while shooting 43.5 per cent from the field and 35.5 per cent from three-point range. The 29-year-old guard poured in 30 or more points in 32 consecutive games from mid-December to late February, a mark topped only by Wilt Chamberlain. The Rockets improved to 45-26 with the win in Atlanta. They finished play on Tuesday sitting third in the Western Conference standings.